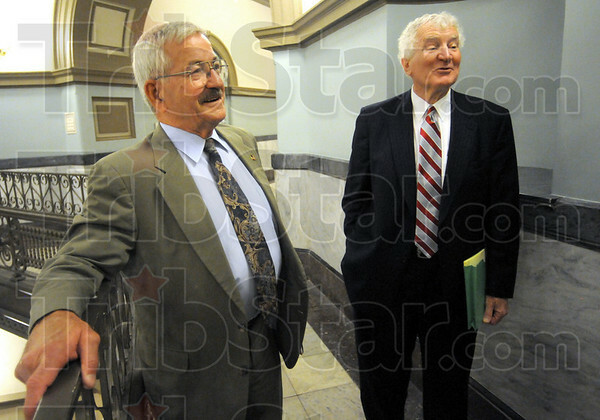 Relieved: Turk Roman (L) talks with well-wishers after his sentencing in Division #6 Court Friday afternoon. Roman's attorney Bob Wright joins in the conversation. Roman's charges were reduced to a class "A" misdemeanor from a "D" felony.